May 16, 2011 - Unite the union and British Airways have reached an agreement to resolve the long-running cabin crew dispute at the airline, the union announced. The agreement is to be put to a ballot of Unite cabin crew members over the next month, with a union recommendation for acceptance. In the meantime, the union has decided not to call any industrial action at the airline based on its present ballot mandate. Unite general secretary Len McCluskey, who led negotiations for the union, said today: ?We always said that this dispute could only be settled by negotiation, not by confrontation or litigation. And so it has proved. ?We are delighted to have reached an agreement which I believe recognizes the rights and dignity of cabin crew as well as the commercial requirements of the company. This agreement will allow us to go forward in partnership together to strengthen this great British company - good news for BA, its employees and its customers alike. ?I am particularly pleased that staff travel concessions will be restored in full with the signing of the agreement and the implementation of the new structure for working together that we have negotiated. A customer-oriented business can only succeed with all its employees valued and respected. ?And above all I would like to pay tribute to Unite?s BA cabin crew members. Their resilience, discipline and determination to be treated properly has been an inspiration to all who have worked alongside them in this dispute and has been a model of twenty-first century trade unionism. 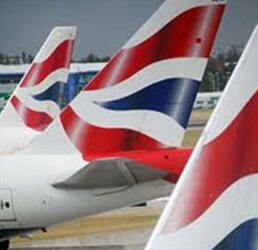 They deserve this agreement and the prosperous future at British Airways I hope it secures.? It appears that the British Airways cabin crew is on the right track of mutual understanding and respect with the new British Airways CEO, Keith Williams after a turbulent relationship with the former CEO Willie Walsh who was responsible for generating great deal of turmoil for the struggling air carrier.